Patented cryogenic cooling of the Ti:sapphire crystal in a single-stage amplifier is available exclusively through KMLabs. Vacuum cryocell that protects the crystal using a sealed, internal ion pump that requires negligible user maintenance. Beam quality can be optimized in real time, ensuring highest efficiency OPA performance. Greater then 40% conversion to signal + idler has been demonstrated. 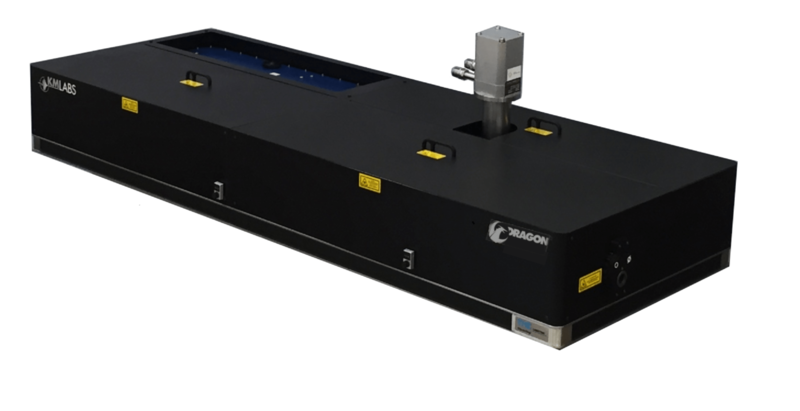 Dragon is shipped with the customer’s preferred pulse duration: sub-25 fs or sub-30 fs.